Phragmipedium kovachii, the most notorious orchid discovery within recent memory, is flowering now in the Tropical High Elevation House. 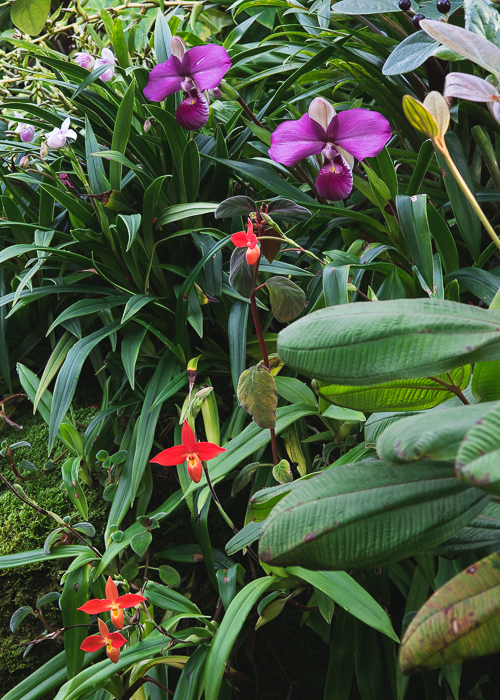 It's growing high on the waterfall, perched on mossy rocks among two other slipper orchids, Phragmipedium besseae and Phragmipedium schlimii. This is the first flowering for our plant, which is a laboratory produced seedling purchased from Piping Rock Orchids in 2009. In the wild, Phragmipedium kovachii grows in cloud forests at 2,000 meters elevation near Moyobamba, Peru on limestone seepage sites. 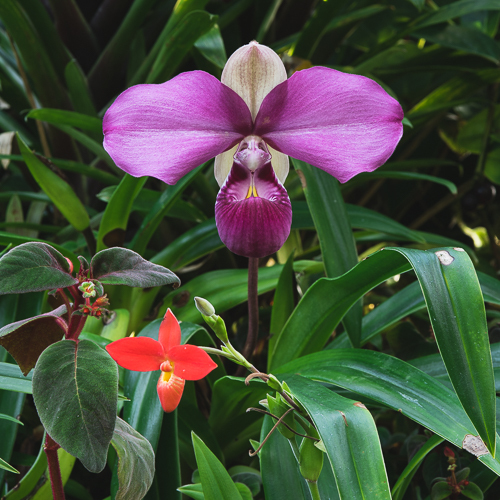 Since it first caught the attention of growers and scientists outside of Peru, P. kovachii has practically become a poster child for bad behavior within the horticultural/botanical community -the illegal poaching of a protected orchid by a private collector, followed by an astonishing display of poor judgement by the botanists who took possession of it. You can find a detailed account of the story in Craig Pittman's The Scent of Scandal (2012 University of Florida Press). Pittman is a reporter for the Tampa Bay Times who has covered the kovachii story since 2003. It's a fascinating story and it underscores the importance of following the law when self interest, science and the law conflict. 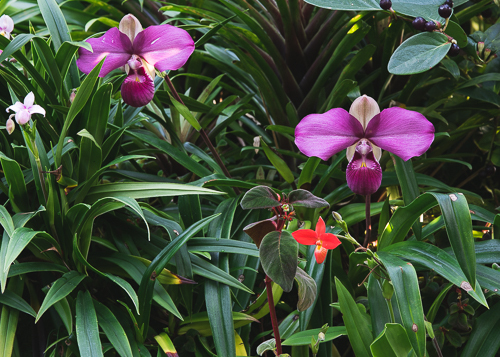 I think of the kovachii story as a cautionary tale and I believe Pittman's account should be required reading for anyone who works with orchids at a botanical garden.